ISTA OR ASTM? Which Do You Need? How will your product get from manufacturing floor to end user? ISTA AND ASTM standards put sterile products through simulations that address distinctly different distribution scenarios. The real-world, worst-case scenarios your sterile product could face will vary greatly based on how it will be shipped. Ordering tests that focus on unlikely scenarios for your product’s journey are a waste of time and money. The wrong tests can also leave you at risk for actual situations that could occur. Both ASTM and ISTA standards have dual approaches to transit testing. Universal requirements for ASTM D4169 and D7386 testing are clearly stated and must be followed. There are other testing criteria, such as levels, sequences, and orientations are up to you. So what happened to “1A”? Here’s the deal: Although ISTA 1A method is listed as a transit standard, a review of the guidelines reveals that Series 1 is not meant as a validation method. The ISTA 1 Series is a feasibility study while in the design phase, so while it is related to transit, it applies to a much earlier part of the sterile device launch process. ISTA Series 2 and Series 3 can be tailored to more specific situations or package configurations. They vary in cost and complexity. Each protocol in ISTA is very detailed and has specific step-by-step instructions that must be meticulously performed. See comparison chart of ASTM and ISTA. The easiest way to ensure that you apply the best testing method for your product is to work with a testing lab. 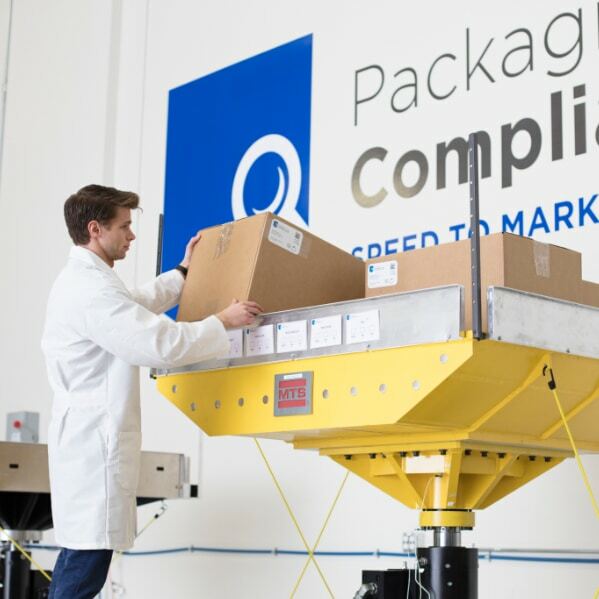 Validation and design engineering labs offer expert input, and have the experience to confirm the specific test methods that will work best for your shipping system. We’re available to help you bounce off ideas! We also offer a feasibility and proof of design concept MicroProgram that can save time and money. Learn more about our MicroPrograms here and let us know if you have questions. Feasibility testing offers a company a chance to fully test shipping methods before undergoing the complete validation performance tests. This way you can work out the kinks before investing in larger testing and sample sizes. Finally, it is most important to simply plan for the validation process. The more prepared you can be going into it, the faster we can help speed you to market with confidence!